Redefining the Face Of Beauty : DYSTONIA AWARENESS IN SEPTEMBER! WHAT YOU NEED TO KNOW! 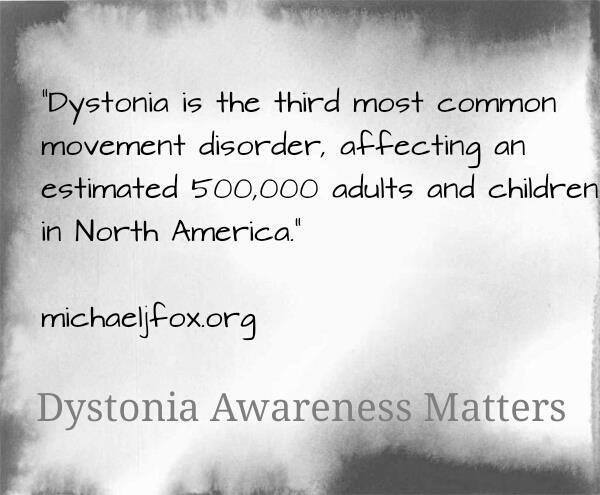 DYSTONIA AWARENESS IN SEPTEMBER! WHAT YOU NEED TO KNOW! Dystonia is a disorder of the muscle which can cause symptoms such as tremors and unusual body movements that are uncontrollable to an individual. Sometimes this disorder can result in difficulty speaking, worsening of handwriting, neck movements, and/or rapid eye blinking. In severe cases, some of these symptoms can be painful. Dystonia is not a single condition, but a range of disorders. Dystonia can be broken down into three types: Idiopathic, Inherited and Acquired Dystonia. The most type is being Idiopathic. The causes of Idiopathic Dystonia are unknown and there are no degeneration or structural damage to the brain. In cases such as Inherited Dystonia, the individual has inherited the gene causing dystonia, but there is no structural damage. However, in Acquired Dystonia, individuals often have damage to the brain's basal ganglia or other regions that control movement and production or transmission of the brain's neurotransmitters. The basal ganglia is responsible for sending signals to the muscles instructing them when to move and when to stop moving. It is a part of the brain that not only monitors the speed of movement, but also controls unwanted movements. 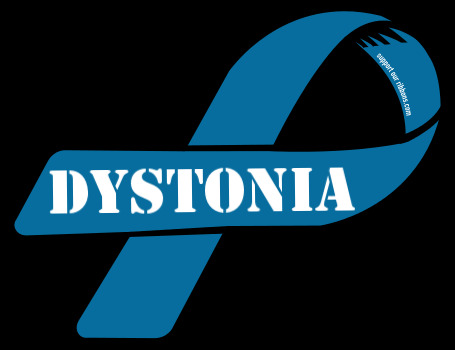 Acquired Dystonia may come as a result of brain trauma, a stroke, tumor, oxygen deprivation, an infection, drug reactions, and/or poisoning caused by carbon monoxide. In more severe cases, Dystonia can affect breathing. For example, it can cause difficulty breathing when the upper airway is impacted. In certain cases involving the vocal cords, this disorder can cause shortness of breath creating a tightness that is present mostly when speaking. If Dystonia involves the spine, twisting of the torso can limit how much the lungs can expand when breathing, which can cause shortness of breath. Finally, in the case of the bladder, Dystonia may also make it difficult for an individual to pass urine, however, this may be a symptom of another neurological disease such as Parkinson's Disease.